AfferoLab, headquartered in Sao Paulo, Brazil is the leading provider of customized training and development in Latin America. AfferoLab uses 6Ds principles to create learning that is fully customized, digital, immersive, and continuous. AfferoLab also offers 6Ds Workshops throughout Brazil. 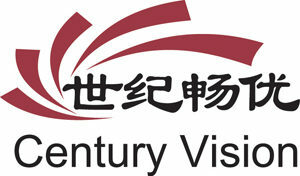 CenturyVision is the educational arm of PHEI, a leading publisher in China. PHEI has published all of the 6Ds books in Chinese. CenturyVision offers integrated learning solutions through an online learning platform as well as professional programs, including The 6Ds, to enterprise universities, trainers, and HR professionals. PowerUpSuccess is a leading Sales, Service, Marketing, Leadership Training; Development provider, providing training, consulting and coaching solutions across Asia. PowerUpSuccess is authorized to conduct 6Ds Workshops in the region and to help companies implement this powerful approach to increasing the value of training and development initiatives.